Posted by Brittany Bosher on Tuesday, May 30th, 2017 at 4:44pm. Summer 2017 is quickly approaching, and for those of us who have kids and grandkids its important to keep them entertained when school is out for summer! 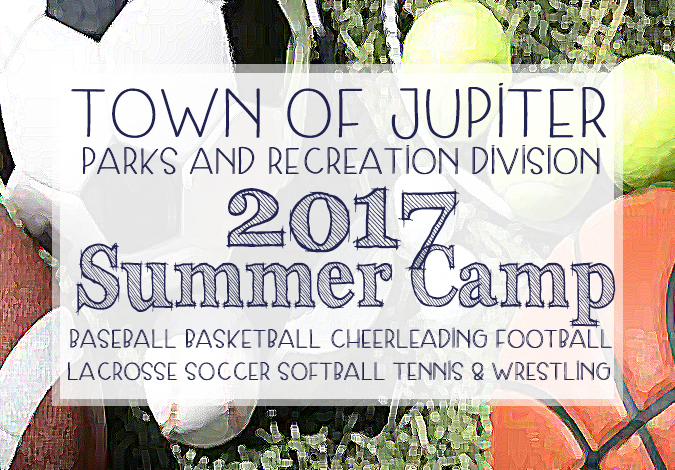 An all-in-one place for the kids in your life to have fun, exercise and refine their sporting talents are the Summer Sport Camps offered by the Town of Jupiter’s Recreation Division. There are 9 different sport camps offered all summer long at the Jupiter Tequesta Athletic Association (JTAA) and Jupiter High. The sports include, Baseball, Basketball (beginner and skilled levels), Cheerleading, Football, Lacrosse, Soccer, Softball, Tennis, Volleyball and Wrestling. There are multiple weeks available for each program and each program accepts kids from the age of 4 up to 15 years. The kids will be grouped by age and each age group will have a maximum number of kids to ensure the safety and well being of each individual. JTAA and Jupiter High have earned an outstanding reputation amongst the kids and adults in the community. They offer fun and challenging programs to kids local and visiting. For those who are Palm Beach County residents, there is a discounted rate to attend camp but what makes these programs so great is that they are also open to non-residents as well.